Thanks wifey for taking this photo for me! I’m calling this video series the Apex Academy! The goal: teach you everything you need to know about coding in Salesforce… from absolute scratch! The quality of this course is already exceeding my expectations and I have a very high bar! I’ve been working many hours every day on this course. I don’t know if I’ve ever put so much thought into anything in my life. Each topic is covered in great depth and I will leave no stone unturned! Absolutely incredible having a team of professional editors optimizing every aspect – content, images, sound quality, flow… you name it! I think they’re starting to believe they should code in Salesforce too. Thank you PluralSight! Release date: shortly after Christmas! I specifically chose PluralSight because it offered the most affordable pricing, however, I know things aren’t always so black and white. Don’t worry – I’ll be doing my part to help you learn too! If you’re a veteran, unemployed, or just coming across difficult times, email me, tell me about your situation, and I’ll see what I can do to help you out (wait til the first course is live first though)! Can’t wait for you to be taking the next step in your journey! P.S. 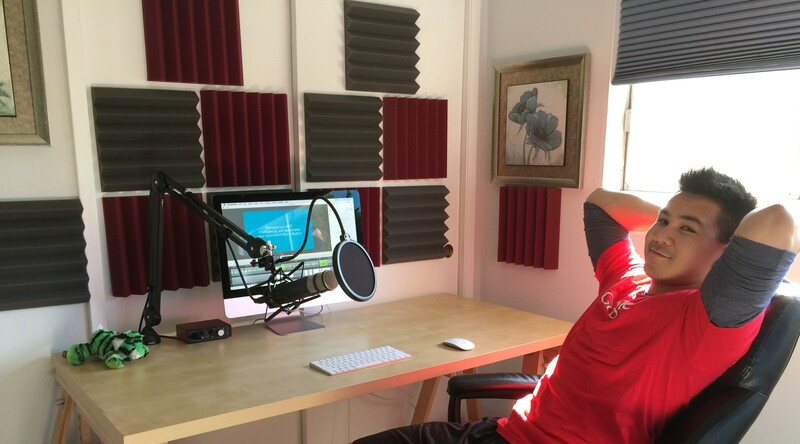 what do you think of my recording studio? Got my lucky green tiger there – Marissa Mayer gave it to me! Hi David is this out yet? I have been searching for it on Plurasight but I do not see it yet. We are very close, days away! Hope to see soon this course in Pluralsight, I learned a lot of things about salesforce watching your videos. Just checked with Pluralsight and they discontinued the regional pricing it seems. But there is a Cyber Monday offer going on…. Just thought to share with you all…. Great find RBR!! Gonna make a post about this! Thanks David. Just thought it will help many. Thank you David, Looking forward to get my hand busy with your tutorials on PluralSight. Thank you so much. I look forward to enroll in your course !! This is great news, I’m looking forward to watching them. When will they be available? A lot of teachers talk a bit to fast, like a narrator, just whipping out information. Most of us need step by step, build on the basics learning methodology in order to fully grasp concepts and techniques. 2.- Show WHY then HOW. Many a teacher does not explain WHY you should do this or that. Students crave to know “Why would you do that? Why is that coma/space/variable (etc) placed there? Is there a structure to this?”. The WHY is almost more important than the how! Images are ALL POWERFUL. They convey, together with written words and verbal affirmations, reaffirm whatever you are teaching. As user, those are the things that stand out the most for me. Great suggestion Jose and hope you’ve been well recently! I will take these suggestions to heart, promise! Lookin’ good David, can’t wait to try out your courses. I’ve really wanted to try Apex for a long time. I cannot wait to subscribe! Thanks again for being so generous with your knowledge. Great to know. I am already a PluralSight subscriber. Will I be able to view this video series? Can’t wait. You sure will be Sundar! Great name btw! Very excited and looking forward to Apex Academy! Thank you David for putting this together! I’m so excited! Thanks David! David… I am not sure how you got to be so wise at so young of age, but I am glad you did. I am looking forward to the series. In the meantime, I wonder if you could point me in the right direction. I am a year into my SF career. I have a day-to-day, non-Salesforce, full time job. I have been fortunate enough to get aligned with a marketing company primarily delivering consulting services in the Salesforce space. I am looking for some in depth best practices or “how-to’s” in Marketing reports, primarily funnel reports and marketing stage velocity reports. Any links you might point me to? P. S. Studio looks great. I consider this document the Bible of Salesforce reporting. It covers nearly every report you’d ever want to make. Study carefully and try to see the patterns used as in your day to day job the only thing that’ll change are the field and object names!